It is difficult to envisage delivering a lecture to commemorate Mr. S.J.V. Chelvanayakam without reflecting upon the one issue that concerned him most – the minorities question in Sri Lanka. 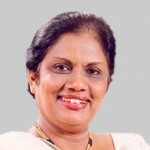 Mr. Chevanayakam and his Party, the Federal Party, engaged in a long and difficult struggle to win the Tamil peoples’ rights. Let us build a new future for our children, children trapped in poverty, in ignorance, traumatized by political and social violence, children without the opportunity to enjoy the freedom and joys of childhood. An environment where they will have access to good education, health care and nutrition and a peaceful and stable society, where they can grow up healthy, enlightened and skilled, secure in their faith of the future we all dream about. Is Mahinda Rajapaksa Suffering From The Complex Of “Excessive Self-Love “? Kumaranatunge speech that similar to the Thrown speech given by Governor General reading script in the Parliament. 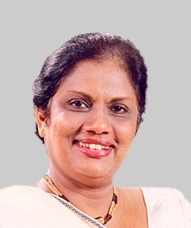 There is nothing new of text her speech ,she has encourage Tamil separatist to seek that Eealm state by promoting separatist agenda to split Sri lanka, by territorial basis into two: one for the Tamil- Eealm Rough state and Other for Non-Tamils. Sri Lanka and their People. Under present the circumstance CBK’s mission was an opportunity for the TNA to go on the Eealm political offensive. The burden would be on majority Sri Lankan to allow them to share national power because the Separatists knew that was what US, UK and Indian- RAW would demand. The CBK and UNP knew that TNA would want them to give their separatist demand, but they would temporize on that Tamil demand ,play for time, meanwhile increase their strength by promoting Eealm new conscripts. At the same time , like the UNP and CBK would fight when it is in their vested interest political class to do so ,even their peerless emissary CBK faithfully participated in the Tamil mission. It is in other words, the perfect moment for struggle UNP and CBK interest and talking Tamils separatism simultaneously. There for ,if TNA-Tamils refused a political solution and settlement of unitary state, Sri lanka government should refuse to move security forces, even if that meant the LTTE -terrorist would take control of the area vacated by departing Armed forces. What ever said and done Sri lanka government would allowed maintain security forces North and east to Reestablished Sovereignty and Territorial integrity and Security is priority of democracy of an Island. This new reality is denied by UNP-Ranil.W…, CBK and MS ruling regime and outfit by and large influence of West and Indian vested interest of split Sri lanka. What CBK says is exactly what the west wants.